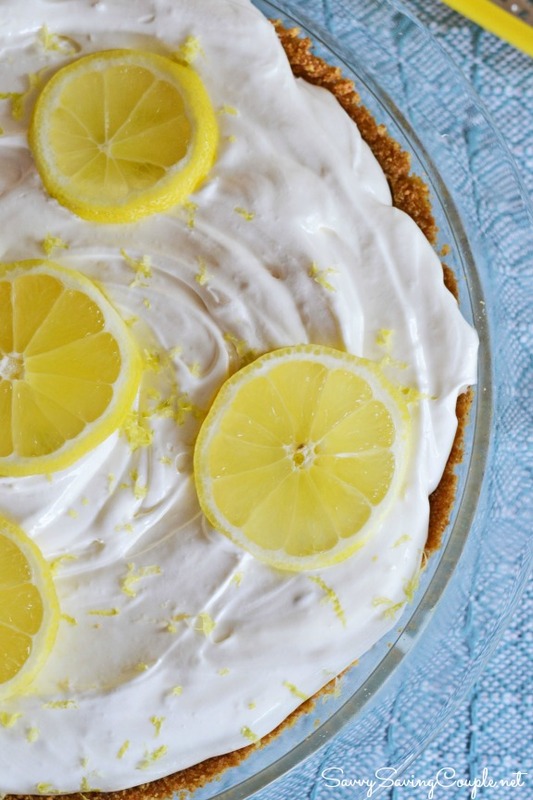 This No-bake Lemon Cream Pie dessert is super refreshing and easy to make! It pairs well with a crunchy graham cracker crust and smooth cool whip topping. Since you all know I love to cook, I thought it would be fun to share one of the very first recipes I ever made for my husband. When I was a teen, I didn’t have my own kitchen to bake in, so I made my “then boyfriend” a no-bake lemon cream pie. 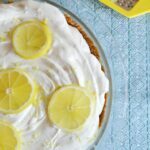 We both shared a love for lemon recipes and graham crackers crusts so this recipe was a hit! I call it our “anniversary pie” since it was over 15 years ago that I first made it! 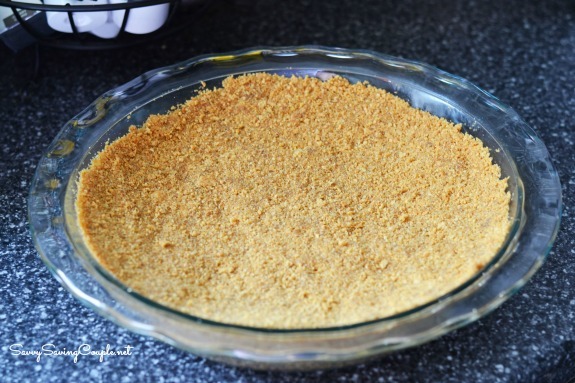 You need to grind the graham crackers to form them into a crust. 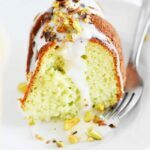 Using a food processor is the easiest way to do this. Add the graham crackers to the food processor and grind them until they’re the consistency of course ground coffee. Next, melt the butter in the microwave. Most microwaves have a “melt butter” setting, so use that. If your microwave doesn’t, just make sure you set it to 50% power. 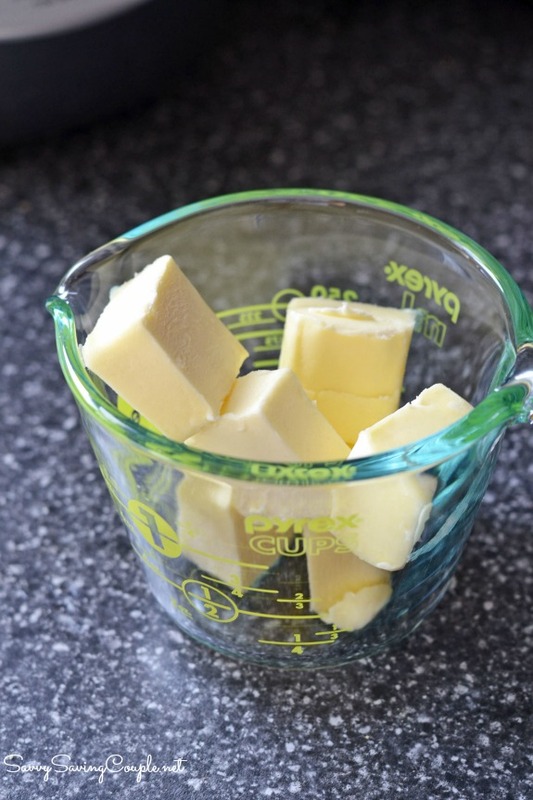 Melting butter at 100% power in the microwave will likely explode all over the inside and make a huge mess! Also, make sure to cover the container with a paper towel just in case! 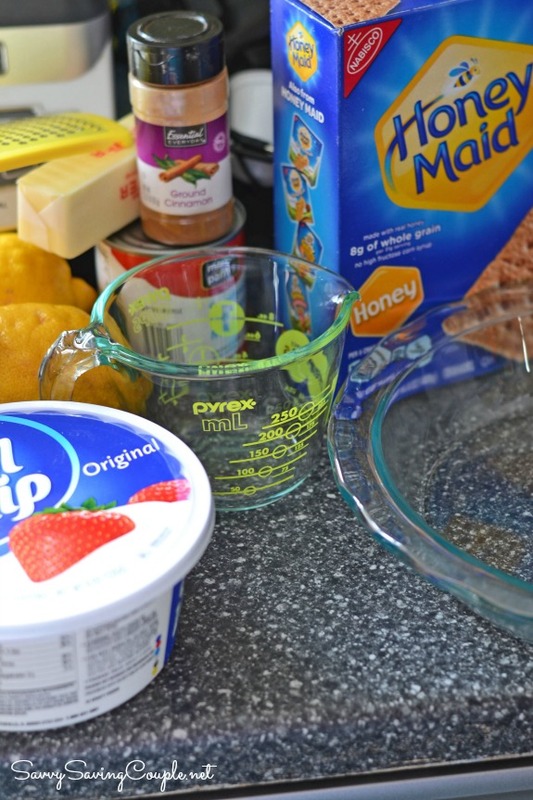 Once mixed, firmly pat the crumb mixture into a large glass Pyrex Pie dish. Tip: Use a piece of wax or parchment paper between your hands and the graham crackers. It will help to press the crust more evenly. Refrigerate the crust for one hour before adding the no-bake lemon filling. Combine all the ingredients in a large bowl, mix well and put aside. Once the pie crust has hardened, add the filling and garnish with thinly sliced lemon, and grated peel. 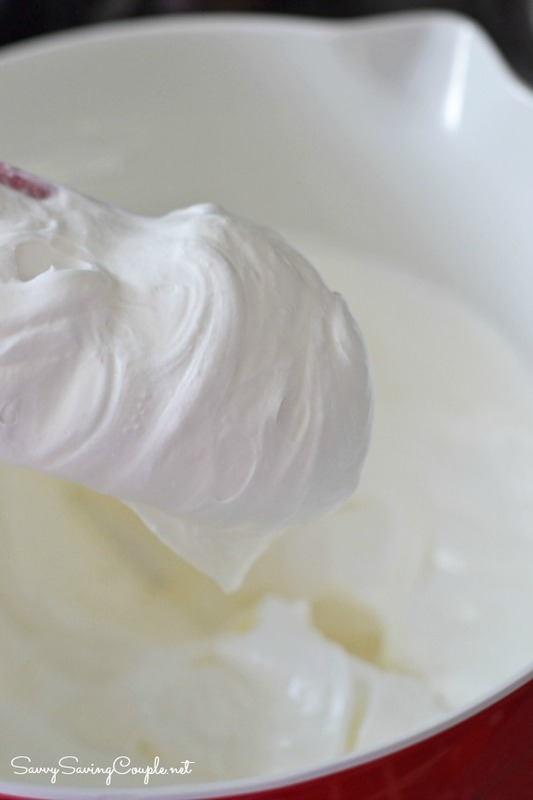 Refrigerate for at least an hour to firm up. 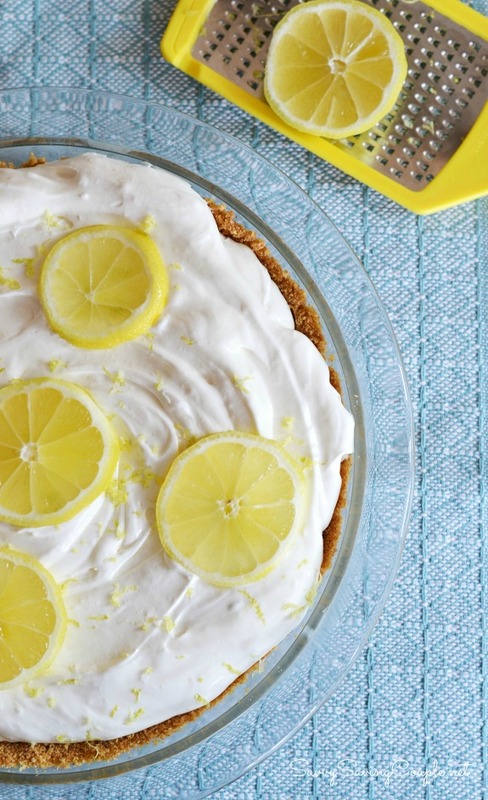 As you can see, this No-Bake Lemon Cream Pie is super easy to make, and requires no baking! It is super pretty and perfect for parties! It is ideal for warmer months, amateur bakers, and even kids or teens to make because you do not need a stove. Get the printable no-bake lemon pie dessert recipe below! 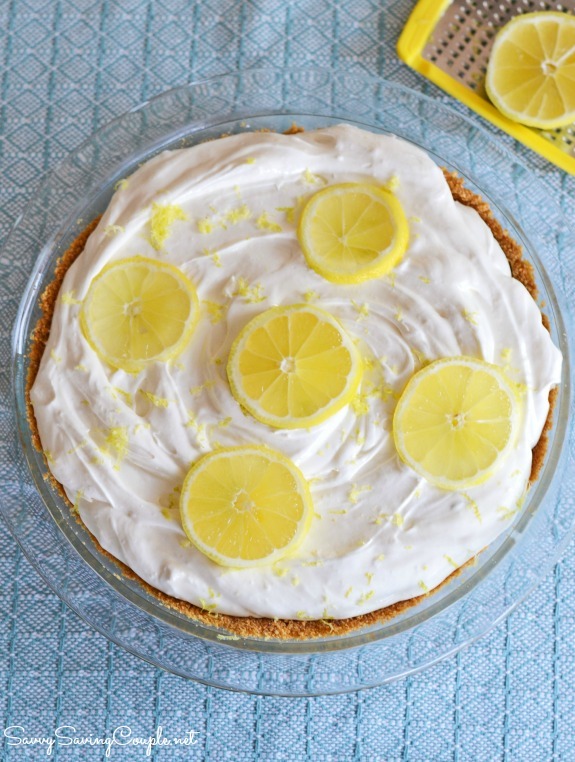 A cream-based pie made with lemon, whipped topping, and graham crackers crumbs. This no-bake dessert is perfect for the summer. Finely ground the graham crackers in a food processor. Grease a large pie dish. 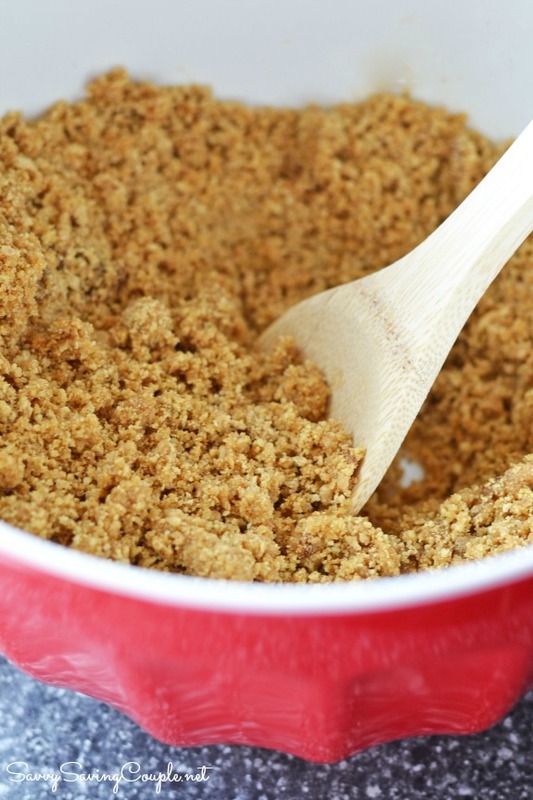 In a large bowl, mix the crumbs, sugar, cinnamon, and melted butter. Press crumbs mixture into the pie dish firmly. Place pie crust uncovered in the fridge to chill and harden up for one hour. In a large bowl, mix the filling ingredients, and set aside. Refrigerate for 3 hours to firm. This pie will never be solid unless frozen. Slices will be slightly messy and not a perfect cut. 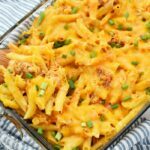 That sounds amazing and I love that it’s no bake! I need to try this! I love Pyrex. I’ve never understood how they can stay in business, though. I have some Pyrex pieces that my Gram used to use. That stuff is almost indestructible. I use my Pyrex for pies and even making meatloaf! Then you can cut it into pie-shaped portions. As well, i love that I’ve had mine for 15 years and they still look brand new! Your pie looks so delicious! All my baking dishes are from Pyrex, and so is my measuring cups. They have lasted so long. They are a great product. Can’t wait to try out this recipe for summer dessert. Seriously that is the easiest giveaway I have ever entered . Thank you. I love Purex. I am fortunate enough to have all of my mothers and I still use them daily. They are pure perfection. I wish they made everything including mixers haha. I am proud of them 100 years amazing accomplishment and much appreciated. I just love cooking with Pyrex to get a good consistency in my cooking. This pie looks so refreshing. What a great recipe! 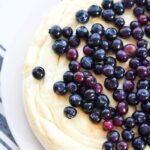 I love making pies, but have never attempted a lemon cream- I think I will have to try this as soon as the Spring weather really breaks! What a fabulous giveaway. Pyrex has been a part of my life for as long as I can remember. Who knew that they had been around for so very long? Thanks for sharing and the chance to win. Pyrex has always been my favorite bakeware brand. It’s thick and sturdy and made to last for many years. I’ve had mine for decades and still love it. Indeed a great way to celebrate! Pyrex has been in my family for ages. They are so realiable. Thanks for the giveaway! Now I want to make a pie. That looks so bright and pretty! I want one! yum, this looks so yummy, I Love a good pie. This looks delcious. 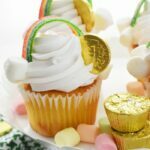 There’s just something about lemon treats in the spring that makes them even yummier! 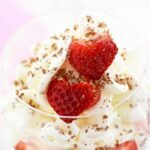 I love no bake recipes! This sounds tasty! I love lemon cream pie! I will have to try this out! I love Pyrex. They make really good kitchen ware. I have several different pieces. I definitely need to enter this contest. That pie looks Awesome and hubby would love this. Thank you for the recipe. I honestly don’t know what I would do without my Pyrex. I use my Pyrex almost everyday for one thing or another. Have a great weekend too! The pie was so good! I love Pyrex soo much! I love my Pyrex. This looks like a delicious recipe. I will have to make one this weekend. I am sure my family will love it. I love Pyrex. need replace mine. They have dwindled down along the way. This pie sounds so good.